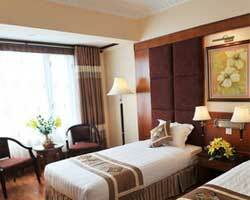 Newly opened in Nov 2008, Flower Garden Hotel is located in the center of downtown Hanoi. 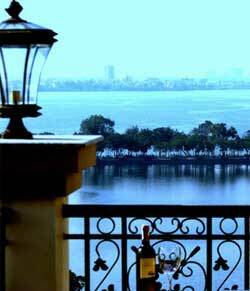 The hotel is closed to many famous historical and cultural landmarks of Hanoi City including the Ho Chi Minh Complex, Ba Dinh Square, Hanoi’s Old Quarter, West Lake...transportation from Flower Garden Hotel is very convenient. The 83 guest’s rooms and suites have been designed with modern amenities and the large windows give a bright and spacious feel to the room’s interiors. The hotel features many amenities. 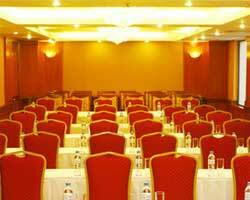 From business meetings to elaborate celebrations, this elegant environment provides you with everything you need. 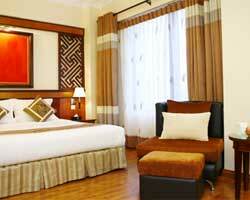 The hotel has three types of rooms including: Superior rooms, Deluxe rooms, Suite rooms. 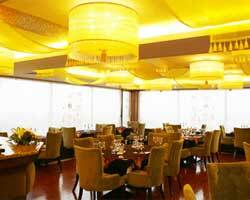 The restaurant is situated on the 14th floor for Western and Intercontinental specialties. From the hotel services to hotel amenities, the Flower Garden Hotel Hanoi strives to make your stay a pleasant experience. 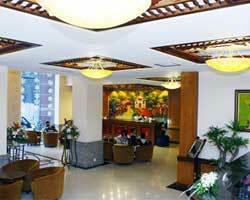 Wherever you are in the hotel, whether the lobby, restaurants, or rooms, you will enjoy a particular modern charm. • Air-conditioning with individual thermostat control. • Electricity current: 220 volts. • Mini-bar, Tea & Coffee making facilities. • IDD telephone with bathroom extension. • Attached bathroom with long bath and shower. • Bathroom shaver outlet: 220 volts. 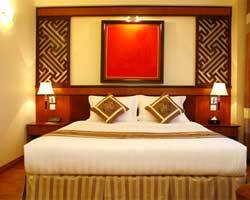 • Non-smoking rooms and floors. WIFI Internet in public area. Piano Café is at your disposal during free time. Whether for a light snack and a drink, the Flower Garden has it all for your satisfactions. Live piano music in the evenings will help you enjoy the most convenient treatments. Located in 3rd Floor, delicious Vietnams, Asian and Western cuisines are also available from the hotel’s wonderful Van Xuan restaurants. 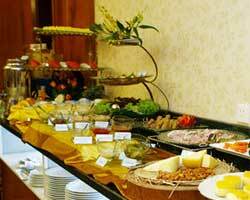 Customers can have a wide choice of food for Lunch, Dinner, both set and buffet menu. With an eye on preserving its classic architecture, the Crystal Lotus has created a exhilarating atmosphere that is both contemporary and nostalgic. State-of-the-art equipment is offset by turn-of-the-century elements to provide you with an innovative, inviting environment that encourages you to invest a little more time in yourself. The Flower Garden Hanoi Hotel’s Business Center provides the essentials for office work that Guests need while away from home. Additionally, guests can always count on attentive service from our efficient staff. The souvenir shop located in the lobby offers a wide of goods for discerning collectors and gift givers. All items that are carefully selected for its uniqueness and high quality will bring the Vietnamese characteristic to your home town as long last presents. The Dai Viet Ballroom at Flower Garden Hotel is ideally suited to meet your company"s requirements for seminars, meetings or training courses. The conference room can hold up to 150 people. 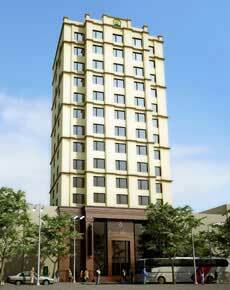 The Flower Garden Hotel"s Physical Fitness & Spa, located on the 9 th and 10 th Floor, The latest in exercise equipment, special Sauna, Jacuzzi and Steam bath are available for those who wish to keep in shape or to relax after a hard day"s work. Workout in the gym, spends some time in the steam room and sauna, or relaxes in our hot tubs.